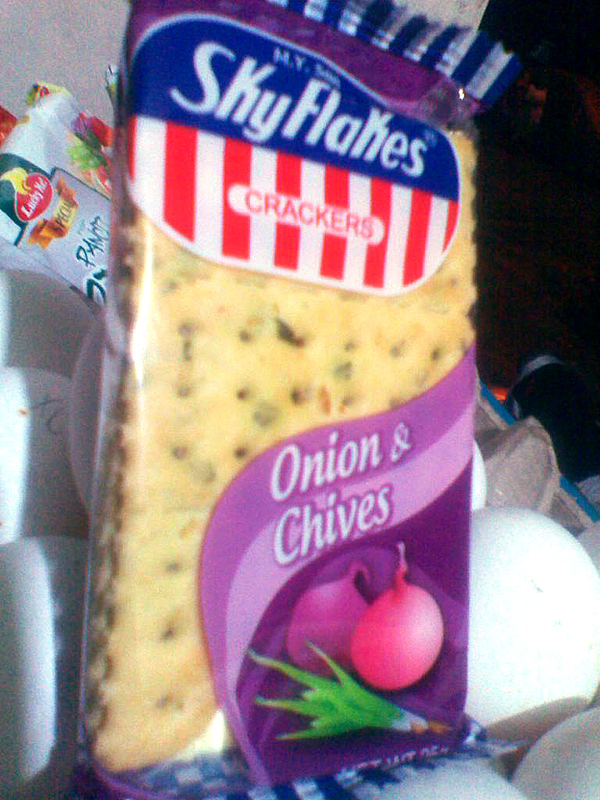 Will the market embrace Skyflakes Onion and Chives' new packaging? Skyflakes recently released it’s new packaging for their Skyflakes Onion and Chives variant. I’m not sure if it carries a whole new taste but you can see the Chive bits in the biscuit. It’s interesting how this product used purple for its packaging. It confused the market though because customers are used to the familiar green packaging. If they want to continue the product’s marketability they should come out with an aggressive campaign. Just added (August 14): Tang’s New Iced Tea Packaging!